Kinetic is a India-made moped imported to the US by Cosmopolitan Motors, in Pennsylvania. 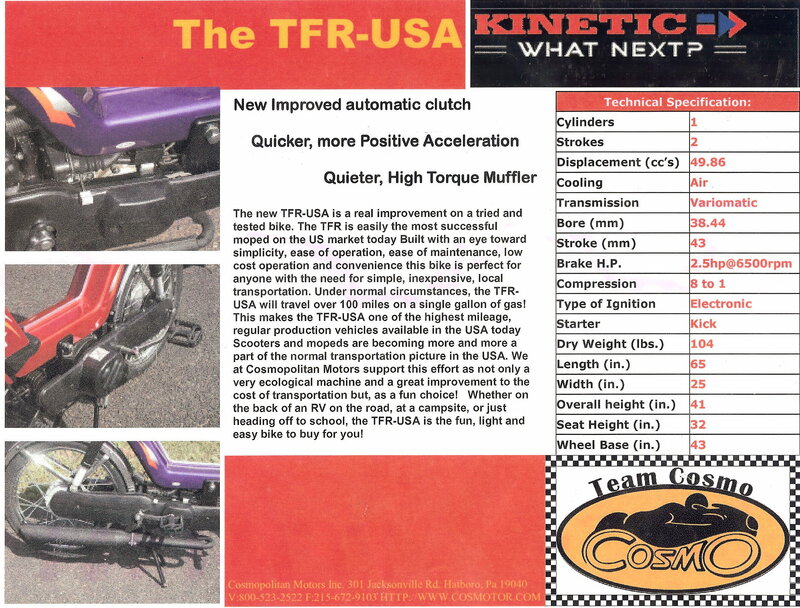 Kinetic TFR is a partial remake of a 1980’s-90’s Vespa Si, with the one-speed drivetrain of a Vespa Ciao. It is a single speed that lacks quick take off. 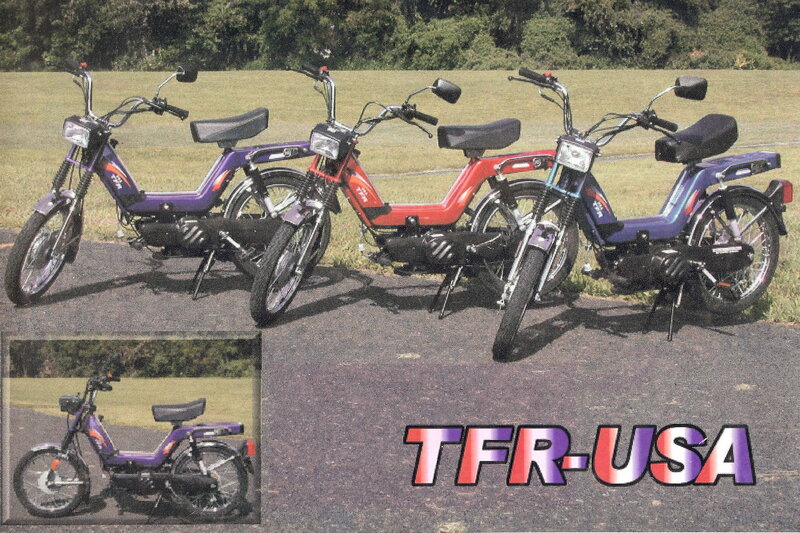 Later in the 2000’s the Kinetic TFR-USA is a partial remake Vespa Si with a variator (variable-diameter v-belt pullies) drivetrain of a Vespa Bravo or Grande.That allowed the TFR-USA to take off faster and climb hills better than a TFR. You are currently browsing the archives for the Kinetic Parts category.